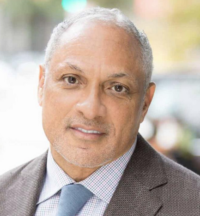 Mississippi’s next Senator wasn’t decided on Election Day. 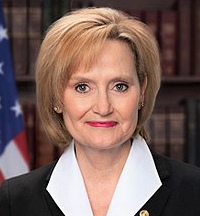 Because neither got 50% Nov 6, Republican Sen. Cindy Hyde-Smith and Democrat Mike Espy will face off in a November 27 runoff election. Here are some key resources to help you turn out and vote. You must already be registered to be eligible, but you don’t need to have voted on Nov 6. CEEP’s nonpartisan candidate guides draw on candidate votes and public statements to provide a clear portrait of their stands. View our mobile-friendly guide here and download a printable pdf here. To download a printable poster with voting logistics, click here. Mail Voting. If, on November 27, you’ll be out of the county where you’re registered, you can vote absentee. Call the County Circuit Clerk’s office for the county where you’re registered, and request an absentee ballot that you’ll have to mail to the County Circuit Clerk’s Office in time to be received by 5:00 PM on November 26th. In-person Absentee Voting. If you’d prefer not to risk mail delays, you can absentee vote in person at these same County Circuit Clerk’s offices. These offices will be open Saturday Nov 17, Monday November 19 through Wed November 21, and from 8:00 Am to Noon on Saturday, November 24. If the election is certified before Nov 17, they may be open earlier. What Type of ID Do I Need ? A Mississippi Voter Identification Card. A full list of acceptable forms of photo ID and accredited colleges and universities can be found at http://msvoterid.ms.gov/Pages/VoterIDAcceptID.htm. If you have no acceptable form of photo ID, apply for a Mississippi Voter Identification Card at any Circuit Clerk’s office. More information can be found at http://msvoterid.ms.gov/Pages/VoterIDHowtoGetID.htm. If you choose to vote by mailing an absentee ballot, you do not need to show or include any photo ID.